Looking for some places to go and enjoy Tokyo but having difficulties in compressing your busy schedule? 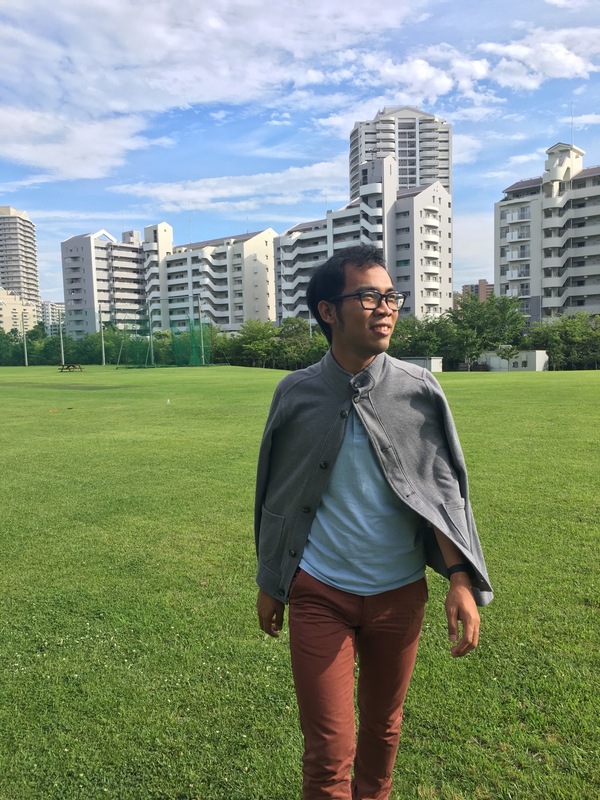 Having trouble putting your budget in line while roaming around Japan? You need not worry because there is actually a way to spend only a few yen while traveling around Tokyo for one day. Considering Japan is a country where every little corner is worthy of a visit, you can enjoy some of these places I’m listing here. If you’re having difficulty finding way on how to get to some points in Japan, you can use Google Maps or be guided by my own post. Starting off in Tokyo Station. Since we are travelling from Chiba, we decided to take the train to reach Tokyo. Dropping off at Tokyo Station, a really nice station with several shopping centers inside and outside of the gates of the station. Inside Tokyo Station, you can roam and enjoy yourself with the different merchandise you can find. Outside is a real deal where you can find a great opportunity for a photograph with the exterior design of the building. The Western-inspired bricked building adds beauty to the place. Tokyo Station is also surrounded by shopping malls so you can have yourself a treat or stay tight on budget and just let yourself enjoy the view. The station is located in the Marunouchi business district of Chiyoda, Tokyo, Japan, near the Imperial Palace Grounds – our next destination. 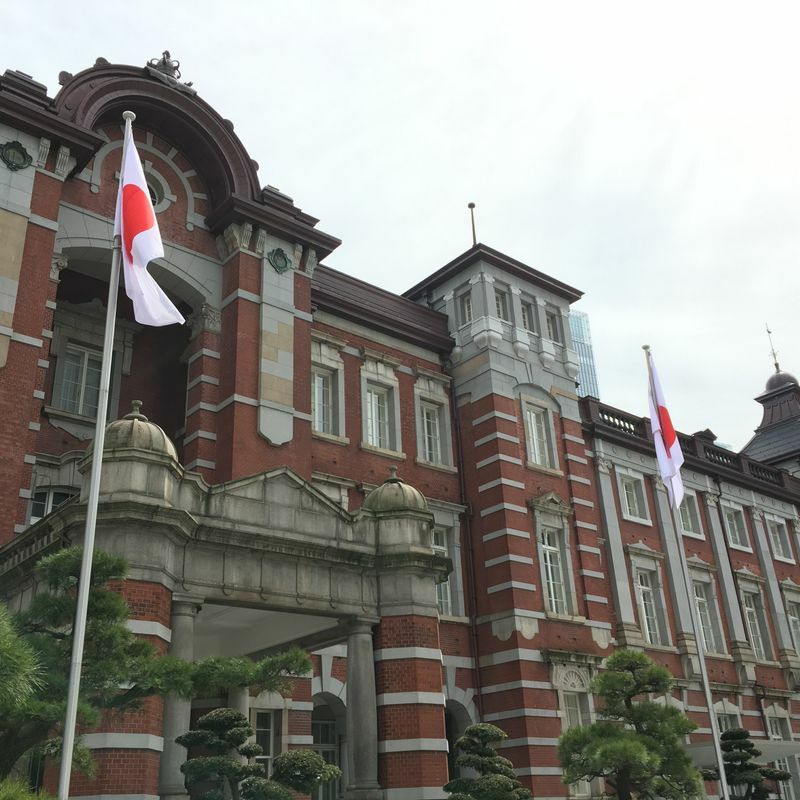 Outer Facade of Tokyo Station. Imperial Palace East Garden. Not so far from Tokyo Station, you can take a walk here. The Imperial Palace is the official residence of Japan’s Imperial Family. Now, we are talking about Japan’s king, queen, prince and princess. A picture perfect scene outside the palace are the massive stones and moats that surrounds the perimeter. From outside, visitors can view the bridge that is called the Meganebashi or Eyeglass Bridge for it looks like a pair of eyeglasses. 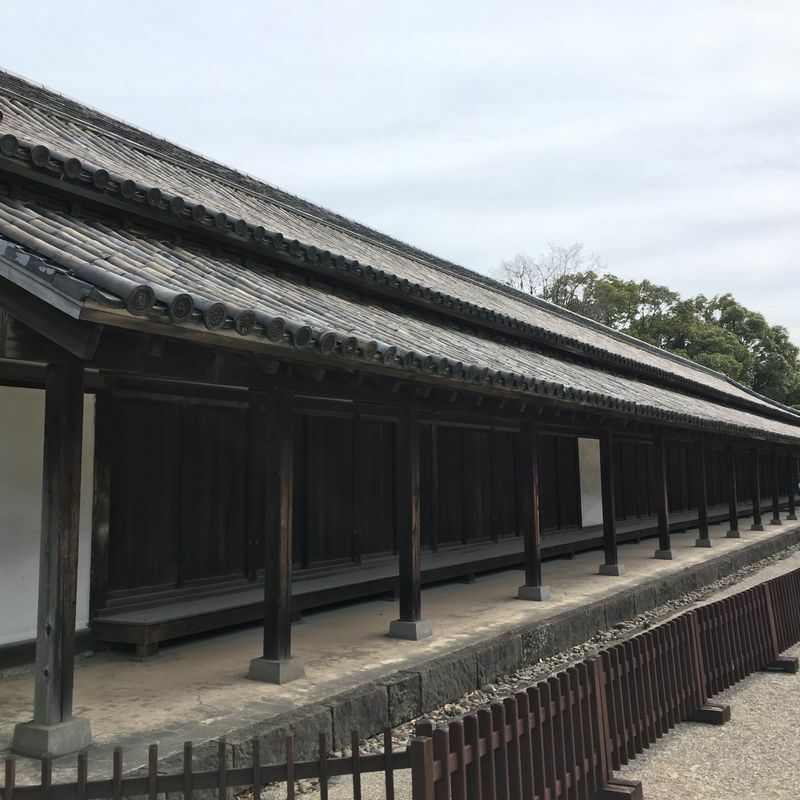 The inner grounds are not generally open to the public but if you are lucky enough you can enter the inner grounds during the New Year’s Greeting and Emperor’s Birthday on January 2 and December 23, respectively. On ordinary days however, all you can access is the East Garden of the palace for a very low admission fee. It is for FREE! Enjoy the wide space of garden inside the city of Tokyo and take rest before going to our next stop. 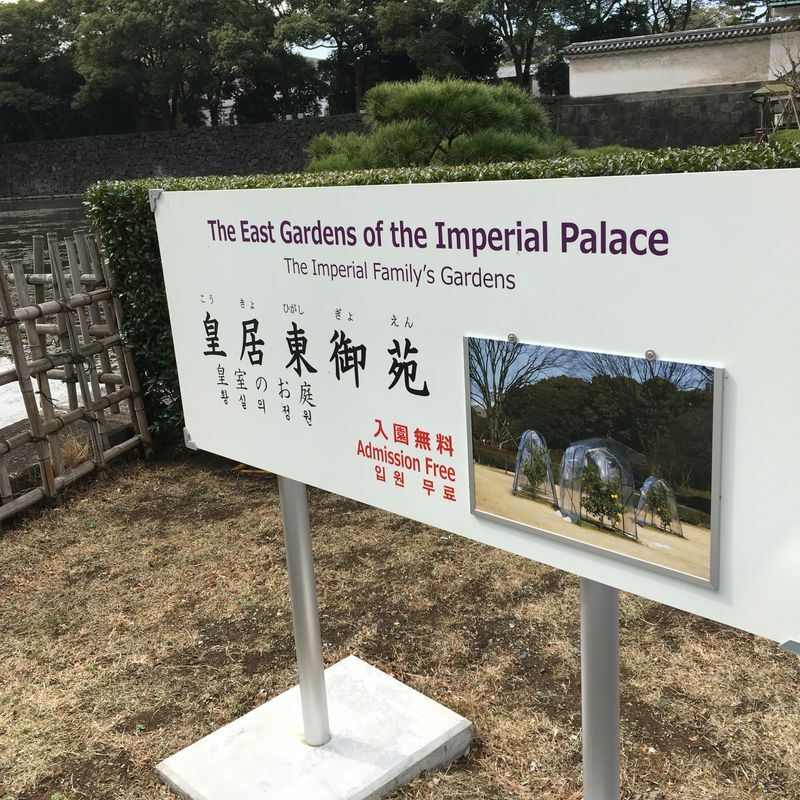 Signage at the Entrance of the East Garden of the Imperial Palace and the old Guard house of the Palace. Taking the train, Harajuku Station will be our next stop. 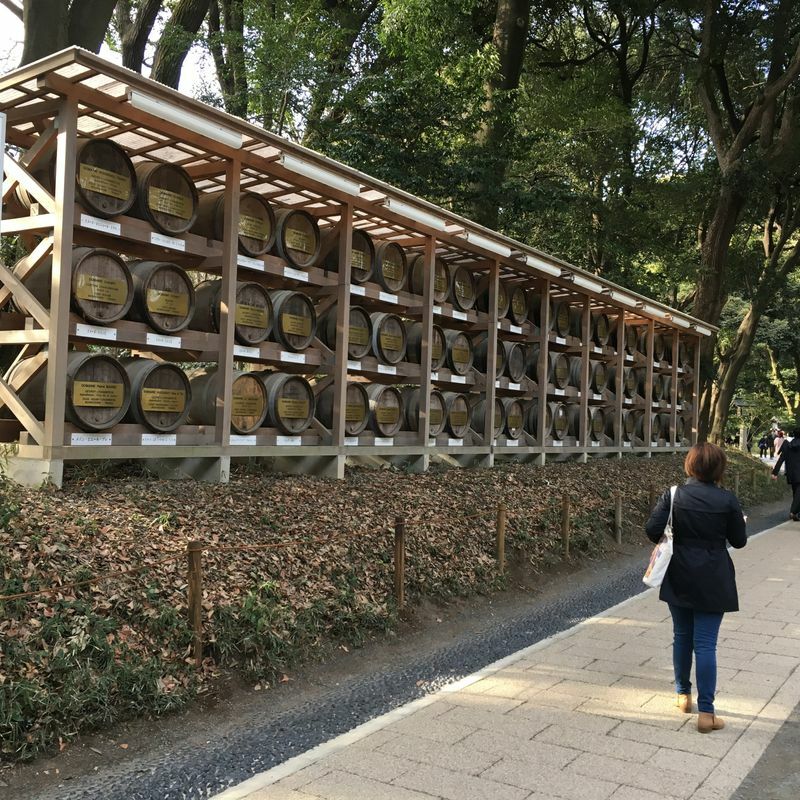 Meiji Shrine is one of the places I considered to be the most interesting I have visited in Japan. 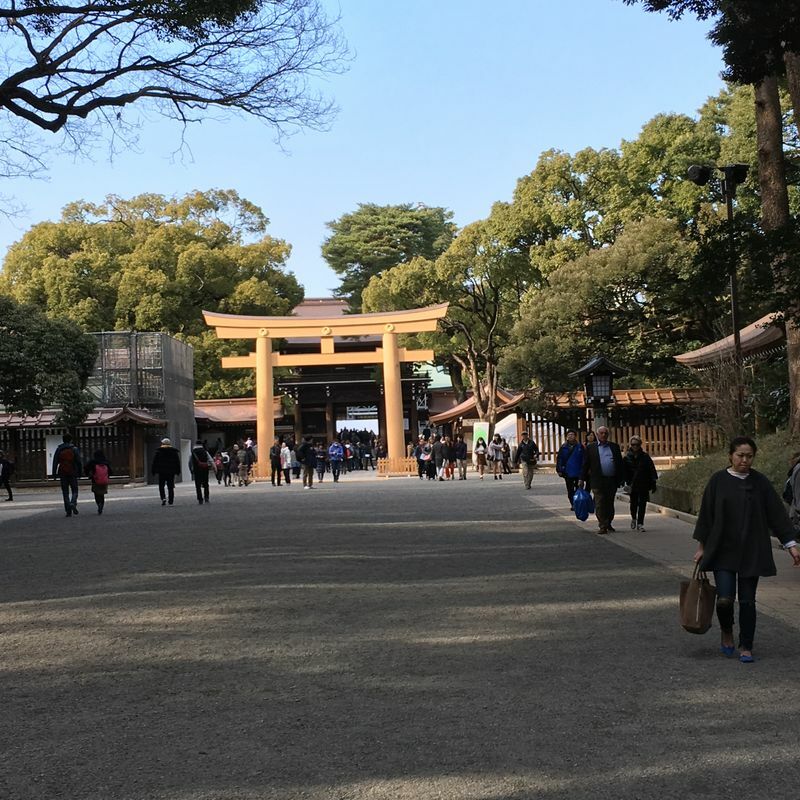 The grounds that lead to the shrine itself are made up of a large forested area deep inside the busy city of Tokyo. This makes the place so relaxing to stroll in. The walk from either of the northern or southern entrances may take 10 minutes depending on the intensity of your walk. Again, the entrance fee for the complex is so cheap for a price of ... FREE. You may just need to spend your money on some of the items for souvenirs. I also recommend taking yourself to be cleansed first by the water located before the entrance at the main hall. The walkway going to Main Complex of Meiji Shrine. After the visit to the shrine, the nearby tourist destination street is our next stop. Just near the JR Yamanote Line station, Takeshita Street is so crowded because it is a must place to experience as a first timer in Japan. 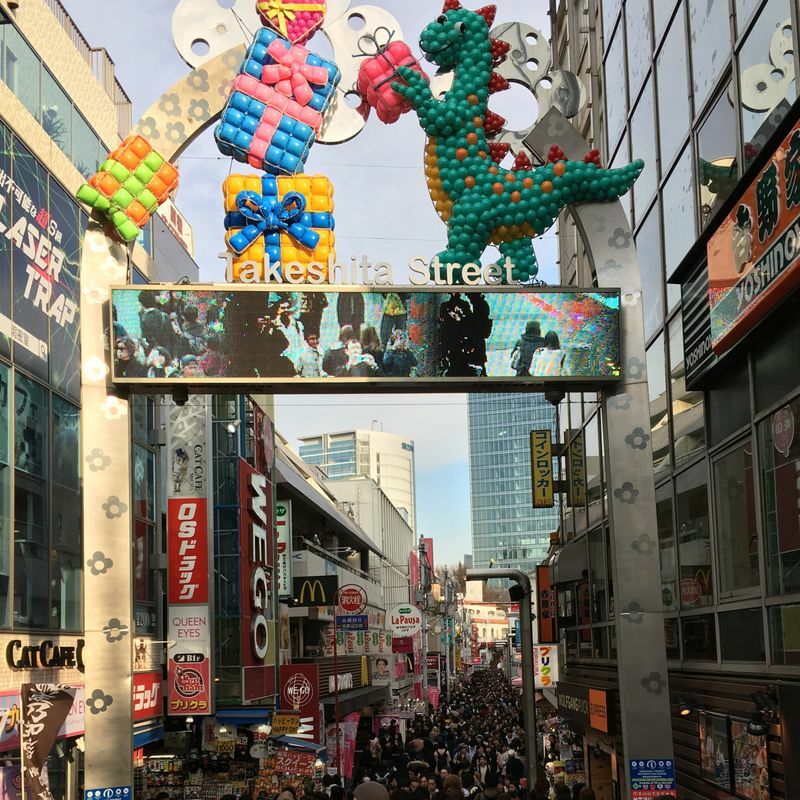 Though it is a really crowded place, we made our way onto the street to try and look for some of the items that are popular here. We tried a crepe and it tasted amazing. Passing through the entire street is a real challenge. So after that we have a quick break and take some rest by looking at some shoes at the stores outside the street. The busiest crossing around the world. Do you know now where our next station is? Yes, you’re getting it right, we are here now at the Shibuya Crossing! It is so satisfying to watch in real life the crowds crossing at the Shibuya pedestrian lane. The feeling is so unexplainable. We didn't miss our chance to be part of the crowd crossing the street several times. At some point, aside from the crossing, there is also a good spot here to take some photos. The monument of Hachiko. We strolled around here also but the crossing and Hachiko is our key destination in Shibuya. It’s getting dark outside, but we’re not through yet. The last stop for this day is to enjoy the entirety of the city view from the Tokyo Metropolitan Government Building in Shinjuku. From the 202 meter high observatory inside the building, we can see the beauty of the city lights. From here you can take a rest while enjoying the view. Looking at different angles, different popular spots can be spotted from the observatory. The admission is again FREE!. As a summary, we spent nothing in terms of admission fees. All we have to budget for is our transportation and our food. Aside from that, we may also buy some souvenirs. Happy reading. Follow my blog for more articles. If you have any comments or suggestions to improve this article just add your thought below at the comment section. It will be highly appreciated to improve my article and make it more useful to the expat community. Some great spots on this. In fact, I really like the walk between Shibuya and Harajuku / Omotesando. There's some interesting things to see and great people watching. 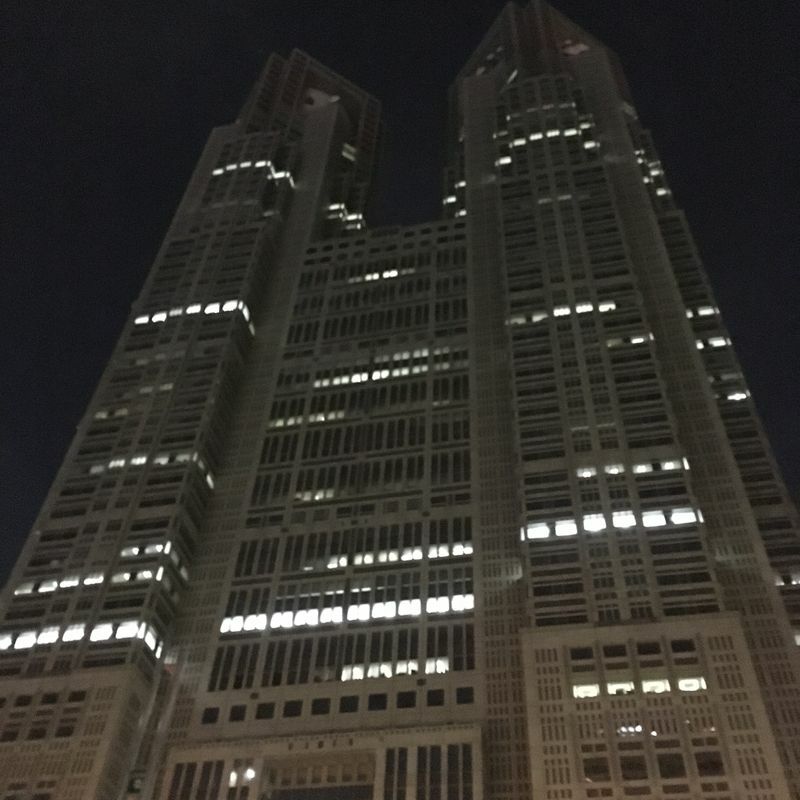 As for the Metropolitan Government Building, another great spot. If time allows, I would head down to Shinjuku Chuo Park, in front of the buildings. The park itself is nothing special, but the feeling of being surrounded by all the skyscrapers is quite cool. @Tomuu Thank you for appreciating this post.